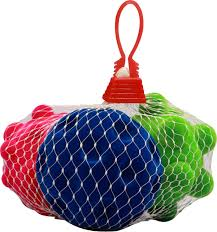 Includes 3 stress balls in a net bag. 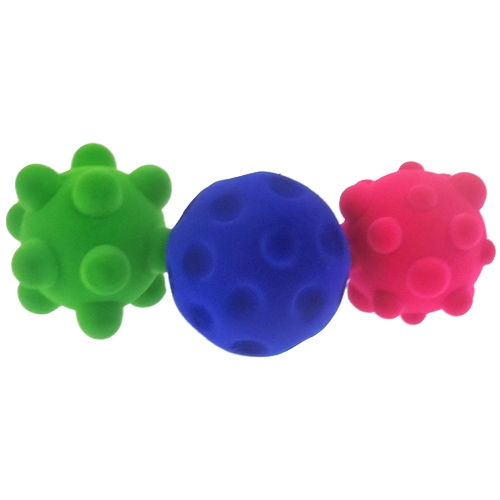 Each ball is approximately 2.5 inches in diameter. Please follow these simple CARE INSTRUCTIONS: Surface clean with a damp cloth or brush lightly with a soft brush. Do not machine wash. Avoid prolonged exposure to sunlight. Phthalates free. No Nitrosamines. No Nitrosatable Substances. 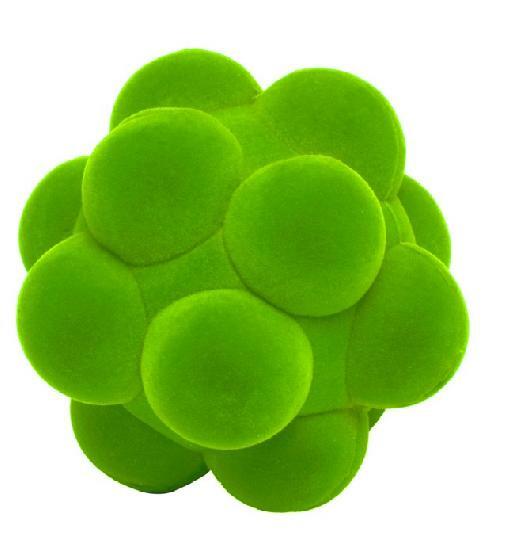 Molded Natural Rubber Foam with nylon flock. REACH and CPSIA compliant.